Take time to stop and smell the roses this spring when you let TicketPrinting.com take the hassle out of advertising for your occasion with Spring Fling Flyers! Fully customizable, with the ability to upload your own image, icon, or logo to the template, Spring Fling Flyers are sure to help your sales soar. Step outside and enjoy the beauty of spring. 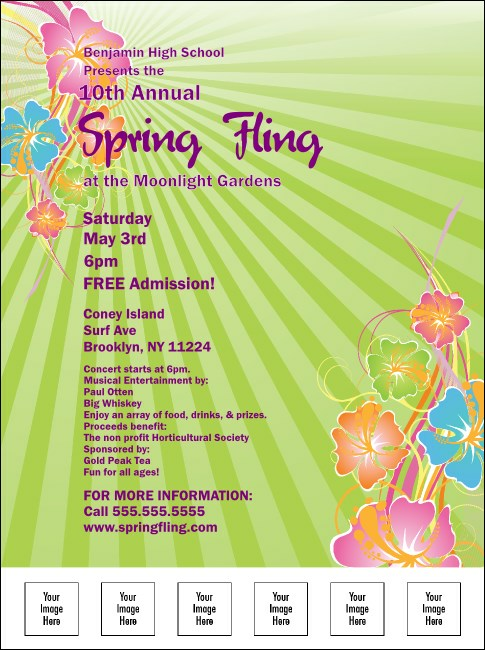 Step into the first sun of spring with a Spring Fling Flyer!